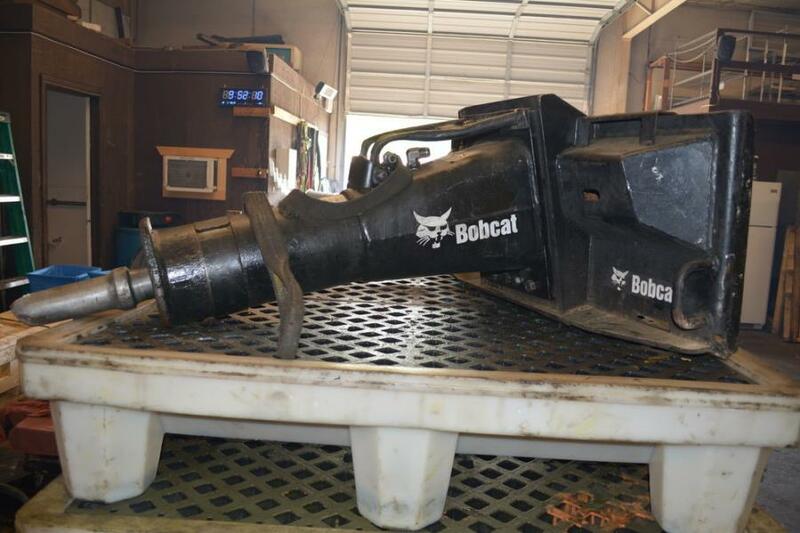 A Bobcat breaker attachment awaits a rebuild at Hammers, Etc. in Arlington, Texas. Sometimes success in business comes after many years; other times it can happen quickly. Alejandro Miranda is definitely in the latter category — in just two short years, he has made a highly successful name for himself and his business, Hammers, Etc. Born in Costa Rica, Miranda moved to the United States with his mother and stepfather at age 12. His stepfather had been in the breaker business, working for various national companies, for years. Alejandro stepfather's connection in the field allowed him to gain valuable mentoring from many industry professionals and even formal training from Stanley, Montabert and Paladin. 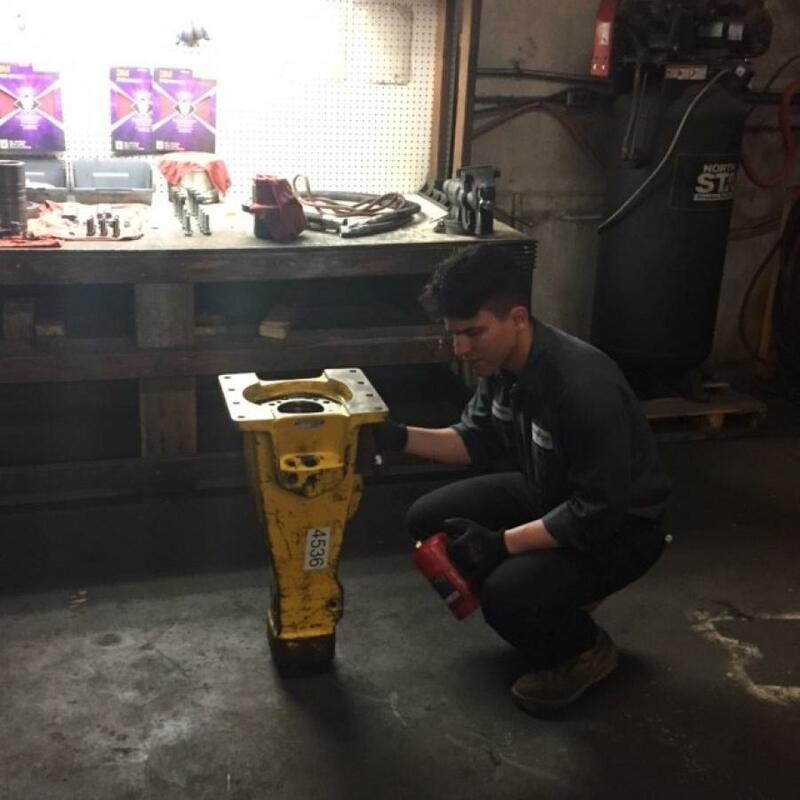 When the time came for Alejandro to think about a career, he and his stepfather saw an unmet need in the breaker repair field because they both observed contractors and rental companies unable to get quality and timely repair on breakers when they went down. The two of them went out and bought a bunch of hammers and a business was born. Hammers, Etc. sells and services hydraulic breakers from its facility in Arlington, Texas." 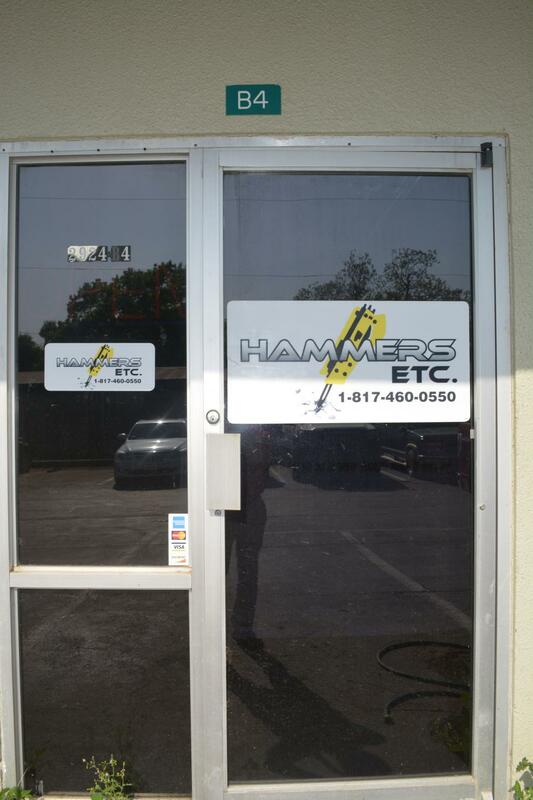 Hammers, Etc., based in Arlington, Texas, repairs hydraulic hammers and from the very inception of the company, Miranda and his team have earned rave reviews from major players in the construction equipment industry in Texas and the south-central United States. Miranda recalled his first customer and breaker. Contractors have appreciated that level of commitment by Hammers, Etc. to reducing downtime, but so have rental companies that need to keep their equipment running and rent-ready for the customer. Bobby Kinney, regional service manager of Blue Line Rental, was an early customer. Hammers, Etc. works on all manufacturers' breakers, all sizes and both oil- and nitrogen-fired units. The company also buys, rebuilds and sells breakers. One recent job had the company take in two 12,000-lb. breakers from a demolition company that was going out of business. Both will soon be available for resale. Most contractors call Hammers, Etc. when the breaker just won't hit, or when they observe oil leaking and a reduction in power. Rebuild time can be as little as 15 hours or so on a skid steer breaker, and much longer for larger excavator attachments. All units are returned to the owner freshly painted and looking like new. “I believe a properly rebuilt breaker is as good as a new breaker,” Miranda said. Once the breaker is repaired, Miranda maintains his job is not over. Today, the young company employs five people and rebuilds as many as 10 breakers per month. The future continues to look bright for Hammers, Etc. Plans include hiring more technicians, expanding the company's parts department, offering the region's best selection of rebuilt used breakers for sale and continuing to be a “customer focused business,” according to Miranda. All of this will require a larger facility, which is currently in the planning stages. Hammers, Etc. 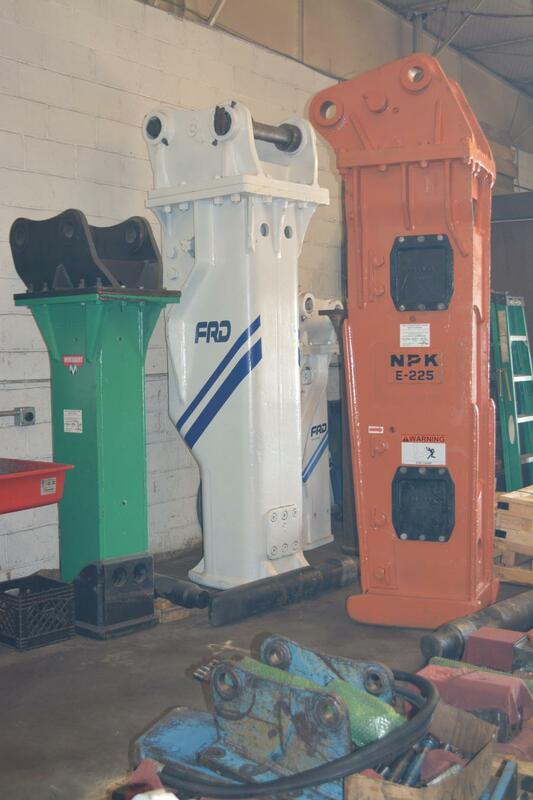 sells and services hydraulic breakers from its facility in Arlington, Texas. While the company primarily services breakers in Texas and the surrounding geographic region, it also has serviced breakers from Missouri, California, Tennessee, as well Louisiana and Oklahoma. Hammers, Etc. works closely with a third-party freight company called World Wide Express to provide low-cost shipping charges and generally receives hammers in one-to-four business days, depending on where the hammer is being shipped from. Rebuilt breakers for sale can be shipped anywhere in the United States. For more information, call 817/460-0550 or visit http://hammersetc.com/. 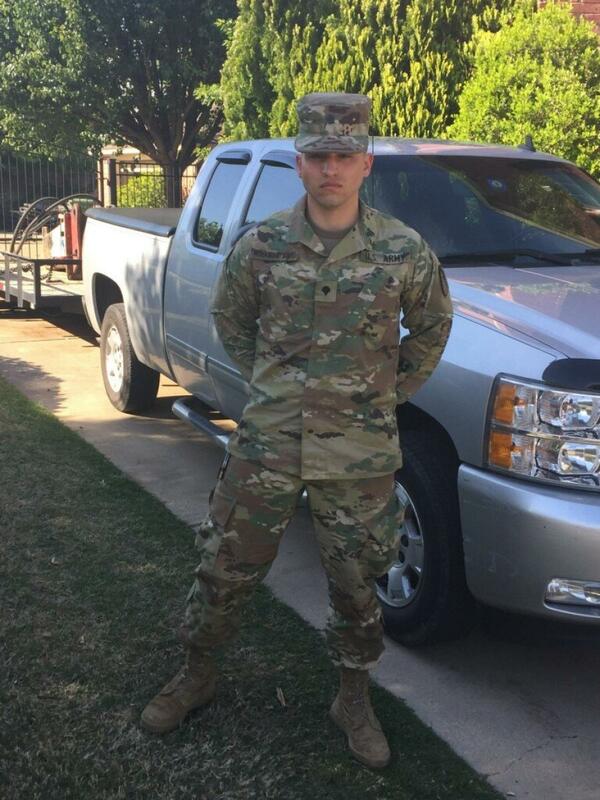 Alejandro Miranda joined the U.S. Army in April 2015 during his senior year of high school because he wanted to give back to the country that he felt had helped him and provided him with so many opportunities. Miranda did his basic training from August to November 2015. During this time, Hurricane Joaquin had hit the East Coast and Ft. Jackson where he was doing his training. After that, he went to A.I.T. in Ft. Lee for his MOS. After he came back, he started drilling in a unit named 363 Bravo Company and during this time, he started his business, Hammers, Etc. When Hurricane Harvey hit southeast Texas, Miranda had been on a state deployment and his mission at that time was to assist with search and rescue with local authorities. Miranda is a specialist E-4 and continues to serve the United States while leading Hammers, Etc.